Virtual Experience stock images by Aurielaki. 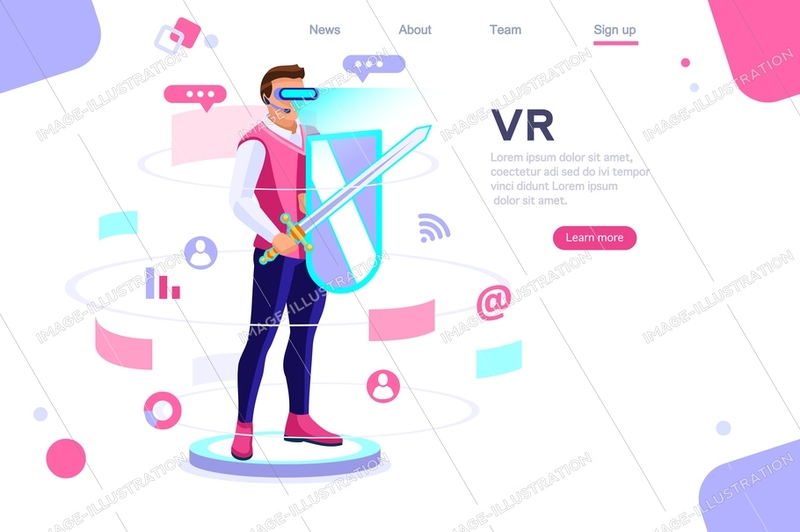 Cyberspace View illustrations in EPS10 EPS JPG AI SVG. SKU: Virtual-Experience-View-Cyberspace-AurielAki. Categories: Game Icons, New. Tags: 360, abstract reality, augmented, banner, boy, character, cyberspace, digital, display, equipment, experience, flat, future, futuristic, game, glasses, guy, headsets, hero, hologram, human, illustrations, images, infographic, infographics, interface, isolated, isometric, man, multimedia, neon, page, people, person, reality, role, screen, simulation, tech, template, user, videogame, view, virtual, visual, vr, wear, web, white, work.